The Thailand-Cambodia border could be the trickiest and worst border crossing process across Indochina countries, if done without research. You would be surprised how dirty (literally and figuratively) the place, the negotiations within it, and the process itself just to cross the neighboring country. I would like to narrate the nerve-wracking experiences we had, together with my two friends, when we traveled overland from Bangkok, Thailand to Siem Reap, Cambodia last June 2016. The first mistake I have to admit we committed was when we booked through a travel agency a “direct” and “fast” van transfer from Bangkok to Aranyaprathet border, as well as a bus transfer from the border directly to Siem Reap City bus terminal – all in one package.The package costed us 850THB each. The van transfer was an hour late than the said call time. When I called the travel agent twice, she said it was because of morning rush hour traffic. We let that passed. The van arrived and we picked up the tour operator few blocks away from the travel agency. She then collected our receipt in exchange of the rectangular red sticker (which until now its purpose is yet unclear) placed on our shirts. We proceeded by picking up 4 more passengers along the way, but two of them alighted approximately 4 km away from the border. The ride went smoothly but we had about four stops for a 5-hour journey. Yes that plenty, guys. The driver loved to stop just to smoke. And no one will understand the fact that every stop he had to fuel up. Like can’t he just make it full tank all at once? Anyway, we didn’t want to ruin our day, so we let that passed again. Upon arrival at the waiting area just before the Thailand-Cambodia border, two men were endorsed to us by the driver. These guys will assist us with the step-by-step border crossing procedure. They said we had to wait for 45 minutes for they need to “process” first our passports, and they invited us to have lunch first at the nearby eatery. The two guys went back holding our passports with the arrival card to Cambodia. They asked the old French couple for some money for the entry visa. Surprisingly, we were also asked 400THB for the stamp. We felt something sketchy was happening that moment. Being a Philippine Passport holder, we must be exempted or should only pay a little amount since we are members of the ASEAN Union. Although there are varied available information on the web, so we were unsure of it. In the end, we just handed out the money so as not to start any argument. After the payment, we received no receipt at all. We were then instructed to fill out the Thailand departure card and the Cambodia arrival card. After that, they told us the procedure and that we had to meet on the other side. It was a less than 10-minute walk with different Thai men and women offering “faster process” to cross the border, but our guys told us to just ignore them. We finally got our Thailand exit stamps. To my surprise, the walk from this point to the Poipet Border Immigration Office wasmore heart-pounding and a more horrible one. Building constructions anywhere you look, construction workers offering assistance to the office, and the place was full of trash, muddy and unorganized. About 10 minutes and we finally reached the border office, then we got our Cambodia entry stamps. \We boarded a bus thereafter. This time, we were with other travelers. This bus took us to the terminal station of both minivan and bus transfers to Siem Reap. We sat down to rest for a while before the 4-hour bus journey. About 20 minutes later, one of the two guys called out my attention and whispered to me that the bus which will take us to the city will leave at 4 o’clock in the afternoon, and we could take the other option which is a minivan that will leave in a while. Our group decided to wait for the bus because that’s what’s included in the package. Less than 10 minutes after, the guy approached us again and said they didn’t want to wait any longer so we should take the minivan and pay another 300THB. We said no to his offer. My two friends talked to other travelers and they discovered that the minivan is offered free-of-charge to them. Again, free-of-charge. Moments after, the guy approached us again and insisted to take the minivan for a lowered price of 100THB. We strongly said no to this, since my friend had a talk with the minivan driver and agreed that we will join their ride for free. We told this to the two guys, and it was obvious they were shocked and got enraged. Perhaps because we knew about their modus. They said we can’t join the minivan group, because what we paid was for the bus ride. Okay we clearly understood their point.However, the minivan ride is offered for free. So why are they not allowing us to leave? The tension intensified. The other guy left, the other one stayed and kept forcing us to pay 100THB if we opt to ride the minivan. My friend confirmed to other minivan drivers on stand-by if the ride is really free-of-charge, they all whispered yes. The discussion went on and the guy was just going around the bush. That we didn’t pay for the minivan, we paid for the bus. That’s his statement for a hundred times. We were about to lose hope of catching the minivan. So I asked the guy if we can make a call to the travel agency to formally ask permission to ride it. He said we can call, but kept on saying the same alibis he said earlier. He didn’t hand us his phone to make a call by the way. So we insisted that we will ride the minivan, but will not pay him any amount. It took another ten minutes before he decided to allow us to leave via minivan, leaving them empty-handed. The travel agent promised us a smooth total of 7-8 hours travel time arriving Siem Reap by 2pm, without informing that our bus will be available at 4pm. There are travel agencies within the area that offer almost half the price of what we booked through HEHA Travel & Tours. We’ve already booked when we saw these ones. When at the border, don’t entertain any offer from anyone. Ride the train from Hua Lampong to Aranyaprathet border if you have more time to spare. It costs only $1.6. Just book a minivan or bus transfer to the border. There are available buses and minivans from the border to Siem Reap City. That’s what fellow backpackers gave as a tip. If you plan to book any package through a travel agency, take a photo of the agency’s number for emergency purposes. One of the reasons why we trusted HEHA Travel & Tours’ service was because the Tourist Information Center agent near Wat Suthat told us that the price of an all-in-one package costs 750THB and up. The information he gave us was not grabbed from the Tourism Department’s website by the way. Scams are everywhere, but we have various ways to prevent it. We just need to be well-informed of the alternatives we can do instead of settling with travel agencies that can’t keep their promises. I’m still thankful for this experience, because we learned a lot from it. I managed to get from Bangkok to Siem Reap crossing the Aranyaprathet-Poipet border for approximately $11-12. I never booked any packages since they’re expensive than doing it on your own. thanks again for this useful tip to avoid the agency scam. i saw from another blog that you were planning to do the bus trip from Luang Prabang to Hanoi. Did you made it? and how was the travel and border crossing. Pls share, because not much latest info about that. We three of us are planning to do that in September third week. If you give any other tips for Luang Prabang or for Hanoi we will highly appreciate it. Thanks Chris for reading! The bus from Luang Prabang to Hanoi was one for the books. It was not as hellish as what other travel bloggers had experienced. The border crossing was smooth, you will arrive there in the morning. Thereafter you have to wait for several minutes to finally cross the border. I am planning to post about the hostel where we stayed at in Luang Prabang, however for Hanoi, it was a bad hostel experience (that means not planning to post about it, it doesn’t deserve a post). The name of hostel in LP is Kinnaly Place House, it’s cheap and staff are accommodating. Have a safe and fun travel ahead! 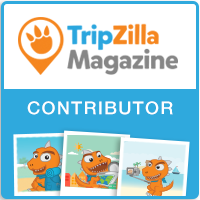 I didn’t know you were the same author of my favorite Tripzilla article (7D for 15k in Seoul). Thanks for the heads up although it’s a bit unfortunate for you to experience it, but still thanks for sharing the tips. More travels for you!! Hi Angeli this message is so sweet! Thanks for reading my posts. More travels for you as well! Hi, Ched. It is unfortunate that you got scammed and I’m not happy with that at all, but thank you for sharing your experience with us, who might be planning to go on trips to Thailand and Bangkok. Cheers and more travels to you! Hi there! Yeah, it was an unfortunate experience although I learned a lot from it. More travels to you as well! Thanks for reading!